This is a curved rectangular Fiddle and Bow Flour porcelain sign. This particular Fiddle and Bow Flour sign is predominantly white with red and black text. 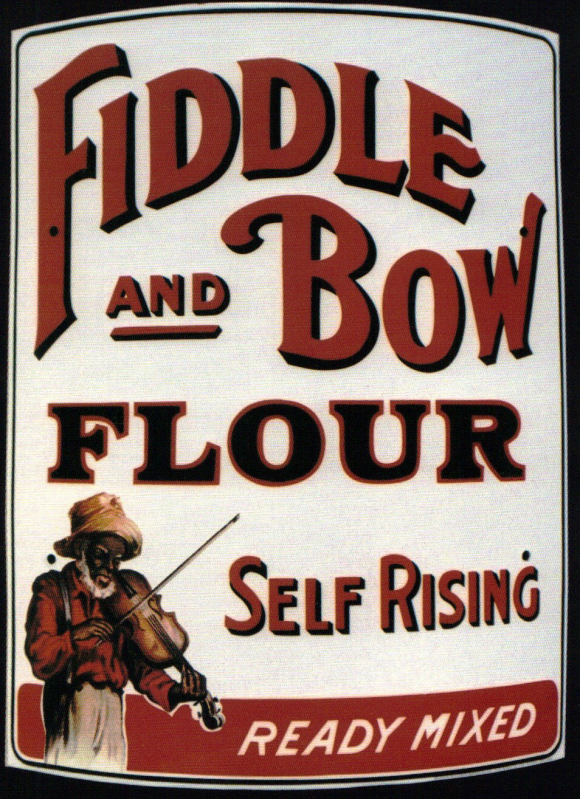 It reads, “Fiddle and Bow Flour, Self Rising, Ready Mixed” and features an old African American man holding a fiddle and bow in the lower left corner.